China Spectacle Blind Manufacturer www.steeljrv.com offers ASME B16.48 F51 Spectacle Blind Flange RTJ, 4 Inch, 2500#. China Plate Flange Manufacturer www.steeljrv.com offers 100-16-01-1-B GOST 33259-2015 904L Plate Flange, DN100, PN16. China Threaded Flange Manufacturer www.steeljrv.com offers ASME B16.5 A182 F53 Threaded Flange RF, 4 Inch, CL600. China Threaded Flange Manufacturer www.steeljrv.com offers ASME B16.5 A182 F53 Threaded Flange, RF, 3 Inch, CL600. China Weld Neck Ring Type Joint Flange Manufacturer www.steeljrv.com offers ASME B16.5 ASTM A182 F53 WNRTJ Flange, 10 Inch, 2500#. China Welding Neck Flange Manufacturer www.steeljrv.com offers GOST 12820-80 304 WNRF Flange, DN150, PN16. 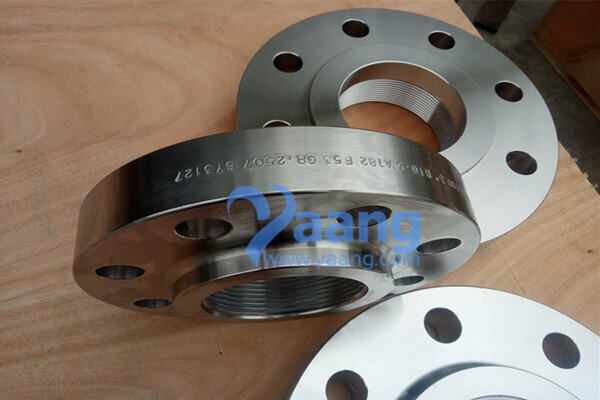 China Plate Flange Manufacturer www.steeljrv.com offers GOST 12820-80 304 Plate Flange, DN80, PN16.